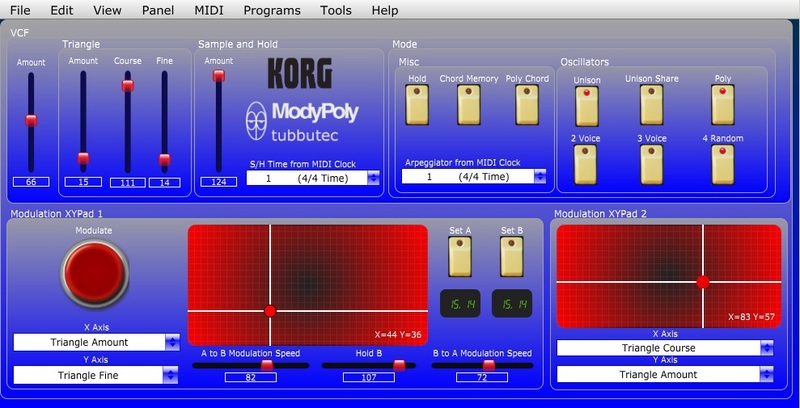 This controller available as VST and standalone exe can be used to quickly control various ModyPoly parameters. It also features two XY pads. It has been created using CNTRL which means you can modify it yourself and adjust it to your needs. By installing the ctrlr software you can also use it in OSX. This is 3rd party software and was created by a ModyPoly user. Tubbutec can not give any support for this. Software is provided as is.